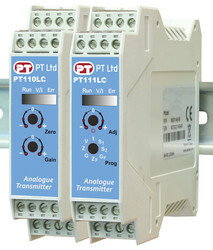 The PT110LC, PT111LC and PT112LC are DIN rail mounted micro-controller based analogue load cell transmitters. They have very high accuracy and long term stability with advanced design. The PT112LC is a high speed version of the PT111LC.